The necessity to implement the right cloud computing platform is nothing less than essential…. It has become as important to 21 century business as any other utility – like water, gas or electricity. Cloud computing allows businesses to grow in the most appropriate way at every point in their evolution. And part and parcel of this is getting the right cloud platform in place. 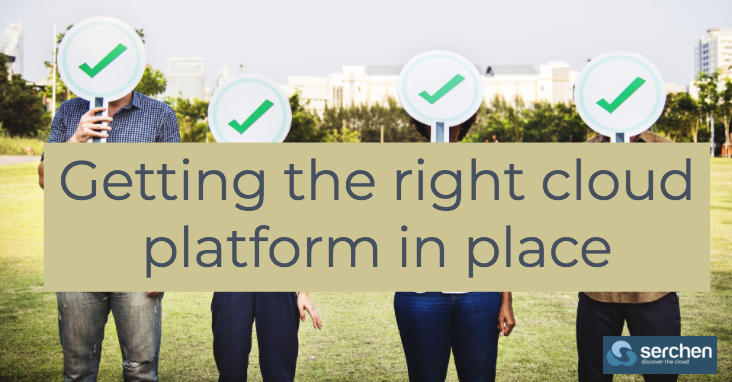 Some companies will require a customisable platform, while others will want one that comes with outstanding customer support. Many will need one that’s compatible with Linux or Windows, while others will place a premium on one that is – at heart – user friendly. And all ambitious businesses should consider whether the cloud platform they utilise will be scaleable as they grow. But – with a host of providers in place including AWS, Azure and Google Cloud Platform – just how can a company make the right decisions?